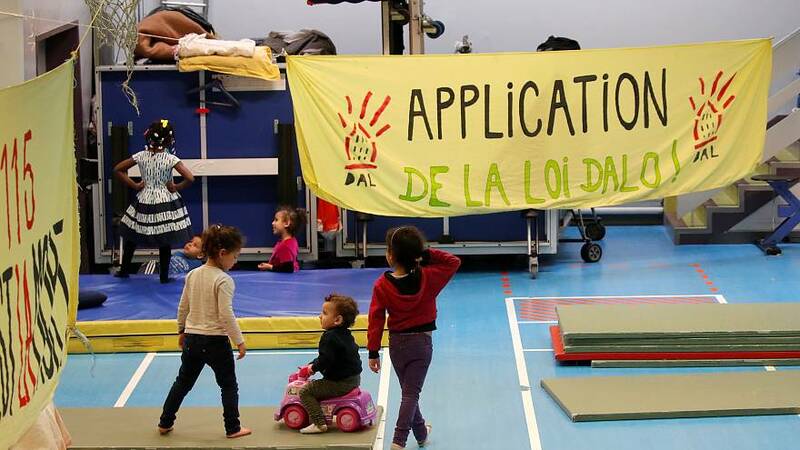 Laws meant to protect the most vulnerable people in France had failed, says the UN's special rapporteur on housing. “Evictions that are happening throughout the country, in a variety of different contexts, are not happening in compliance with international human rights law,” Leilani Farha told Reuters. Farha's remarks come after her trips to makeshift migrant camps in Paris and the port town of Calais. She also visited urban squats in Marseille and Roma settlements on the outskirts of the city. France, like most European countries, has seen a rise in homelessness in the past decade, fueled by the fallout from the global financial crisis. An influx of migrants from Africa and the Middle East has also seen numbers increase on European streets. According to France's National Institute of Statistics and Economic Studies (INSEE), more than 12,000 people sleep on the streets of France. According to the same body, in the French capital of Paris, roughly 463,000 people live below the poverty line. They have an average monthly income of €747, which is €261 below the poverty threshold. In 2018, 566 homeless people died nationwide, according to the charity Les Morts de la Rue. More than 100 of these were in Paris alone. According to French law, residents eligible for social housing need to be provided assistance within six months, failing which residents can appeal in court. The rehabilitation of the homeless is not the only problem: Farha said many homeless people were not receiving elementary care. “People are not even accessing the most basic emergency services,” she claimed, adding calls to a national emergency shelter hotline are often not answered. She said that it is absolutely necessary for France to focus on "providing unconditional accommodation to the homeless, rather than moving them through different levels of shelters depending on their work, health and administrative status."